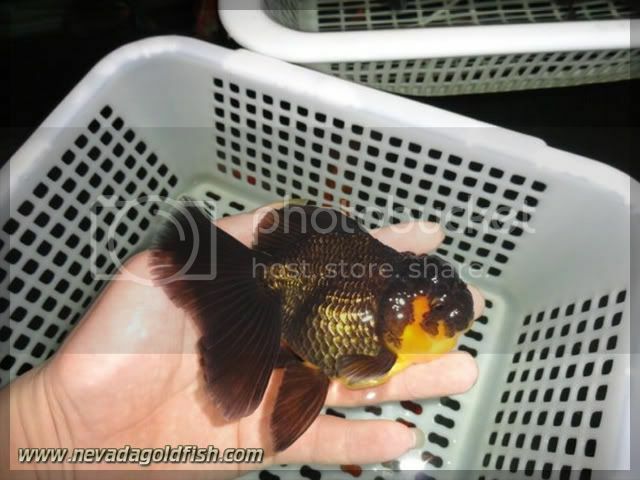 Black and golden coloration is always amazing. 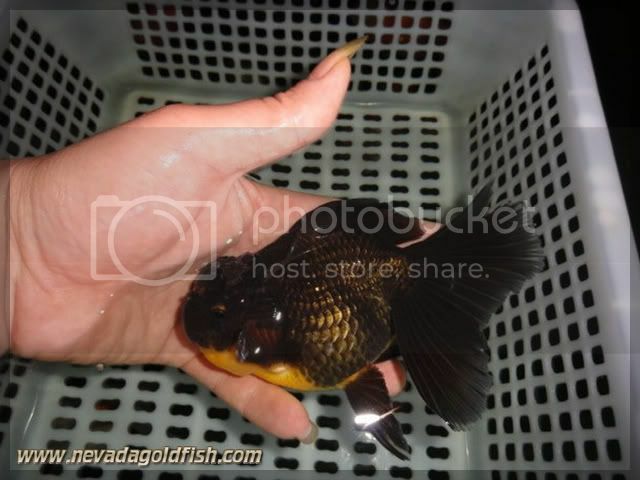 As you can see, this Black-golden Oranda seems very elegant. 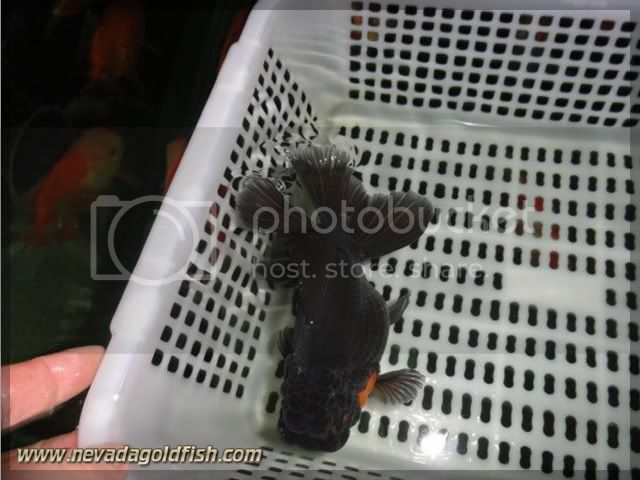 ORA011 is very attracted and adore to eat frozen bloodworm.